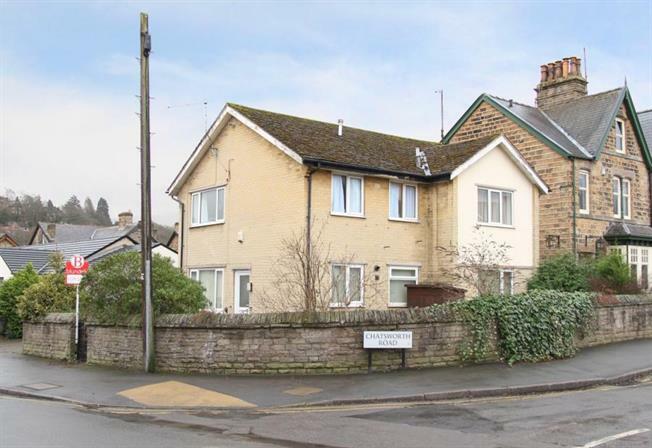 2 Bedroom Ground Floor Flat For Sale in Sheffield for Guide Price £180,000. Which would be ideally suited to those downsizing or investor landlords alike. Having gas fired central heating and uPVC double glazing, as well as the benefit of a driveway providing off road parking and garage. Situated in the much sought after suburb of Dore well placed for easy access to local amenities, Dore train station and public transport links. The accommodation in brief comprises: entrance hallway with airing cupboard housing the gas heating boiler, separate storage cupboard and a door leads into the lounge, being front facing with fire surround, living flame gas fire and wall light points. Kitchen having a range of wall and base units with integrated appliances to include, electric hob, electric oven, extractor fan, along with space and plumbing for an automatic washing machine and fridge. Master bedroom having built in wardrobes, over bed storage and dressing table, double bedroom two and bathroom having a three piece suite in white comprising: wash hand basin, low flush wc and bath with electric shower and screen above. Tiling to the splash backs and shaver point. Outside: gated access leads to the enclosed block paved sitting area leading round to a side walled lawned garden area, with garden shed and outside water tap. A side gate leads to the block paved driveway accessing the single garage with up and over door.